Confortable apartment with excelent views! Staying in this neighberhood you'll be able to catch the best of this multicultural city and tasting the real "porteña" culture aswell. Baires can be a little noisy so it's ideal to stay a few blocks away from downtown in order to realx and walk through the real streets. You can get in touch with local people, eat in local places and enjoy days just as "porteños" do. 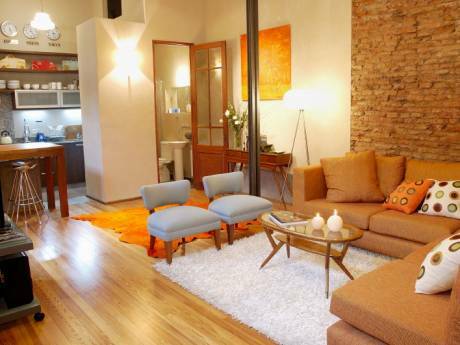 Perfect spot to explore Colegiales, Belgrano, Palermo, Chinatown and even Saavedra. 2 bathrooms, 1 bedroom, huge balcony. Wifi, Netflix included for free. Full equipped for cooking. Capacity for 3 people. Air conditioner and underfloor heat. Modern building including swimming pool and rooftop with stunning view (25 th floor), laundry machines, barbacue zone, own square and gym. Right in the center of Chacarita/Colegiales neighberhood. 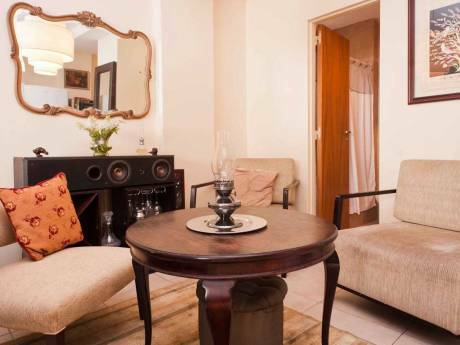 Located over Lacroze Avenue (Full of shops, places to eat, banks, bookstores and grocery stores). It's located in the center of the city so you can explore downtown and any other neighberhood just 20 mins subway ride. Perfect mix between local and multicultural. 4 blocks to subway station (line b) and Federico Lacroze Train Station. Multiple bus lines connecting to every point of the city. 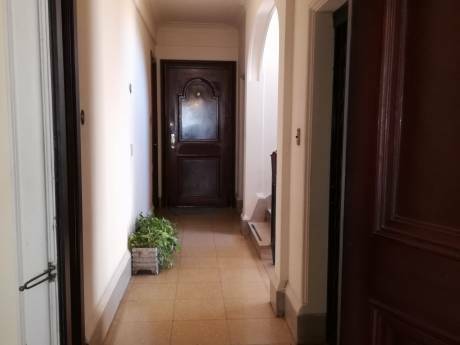 10 blocks walking distance to Cabildo Avenue, close to Belgrano neighberhood, Chinatown (15 min), 5 min walking distance to Palermo Hollywood (food neighberhood). One of the best transport connection spot of the city.